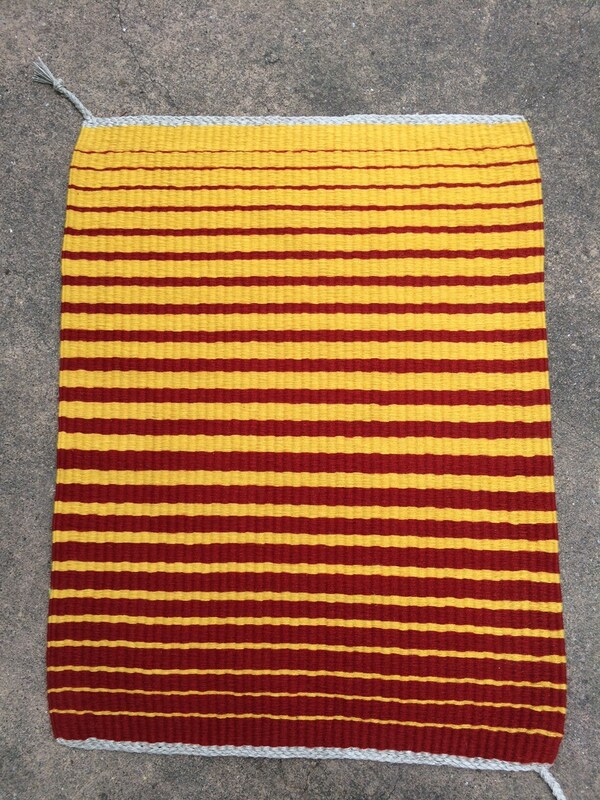 Handwoven striped rug in yellow and red. Natural dyes using cochineal bug (red) and the pericon herb (yellow). I didn't actually start out to make an optical illusion out of the design. 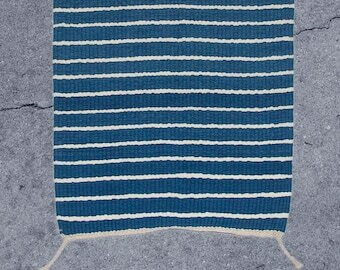 I started out weaving each yellow stripe a bit wider until I figured out how wide I actually wanted the stripes. 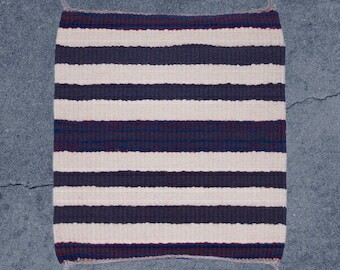 Once I hit on the optimal width, I didn't want to go back and take it all out so I just kept going, making each stripe wider until I got to the center, then I reversed the order and started making the red stripes wider. It came out very unique with some optical illusion quality. Definitely one of a kind. Handwoven at each end with a braid at one corner of each end. Woven to be walked on and to last forever. Definitely could be hung as a wall hanging also. I would dry clean it whenever it becomes necessary to clean it. 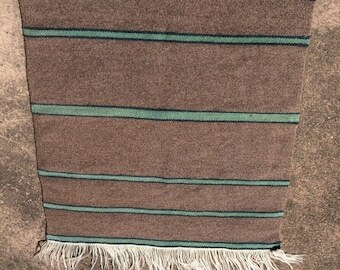 Southwestern Handwoven Striped Throw Pillow.